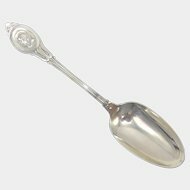 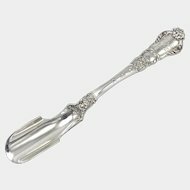 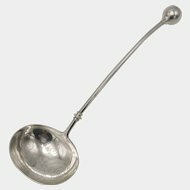 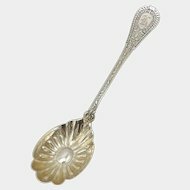 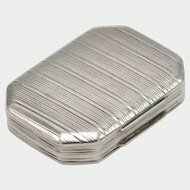 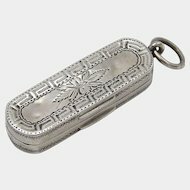 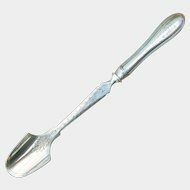 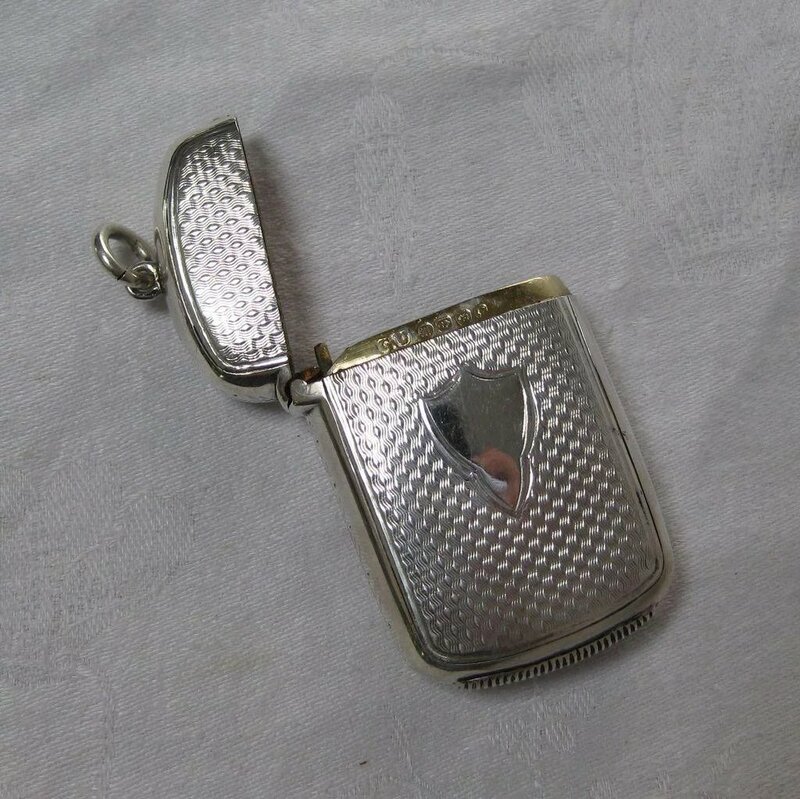 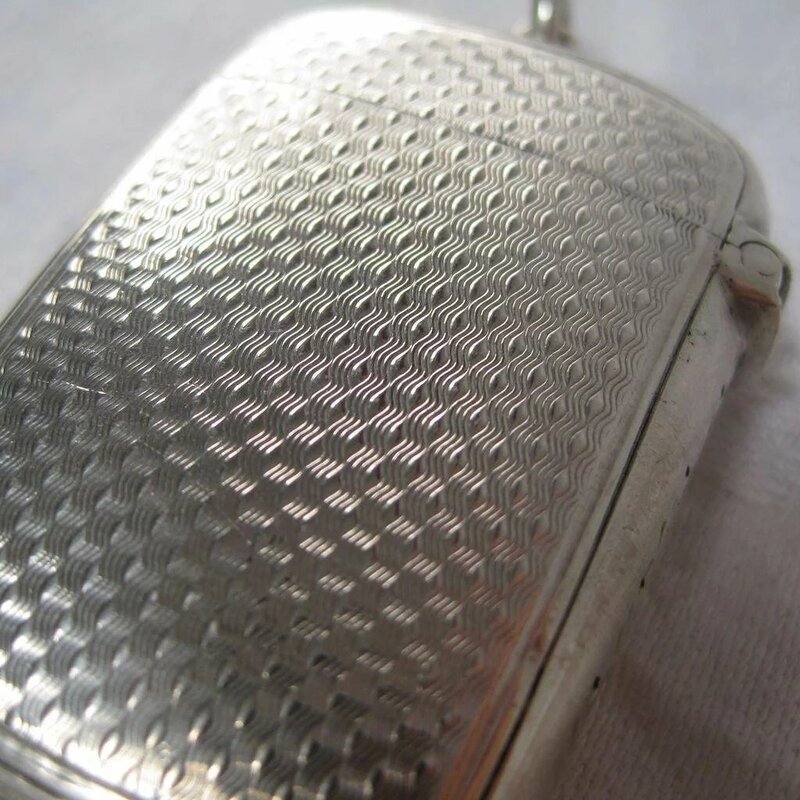 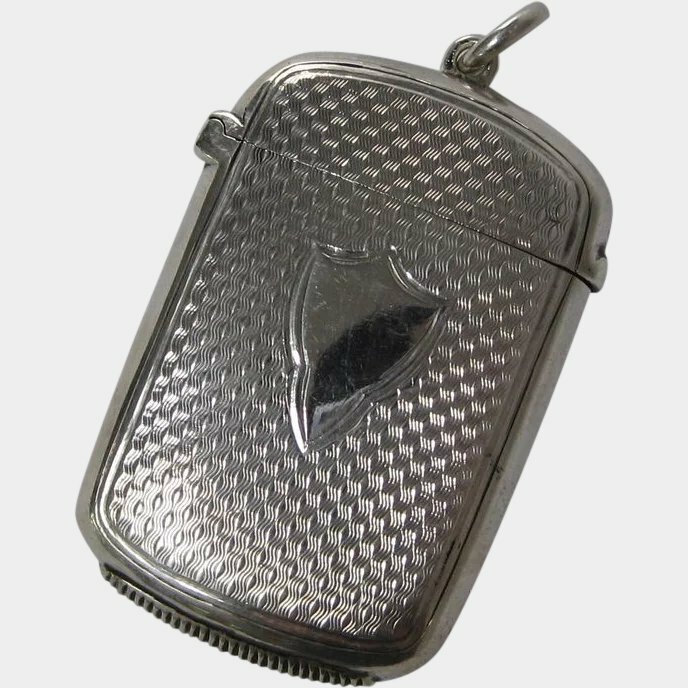 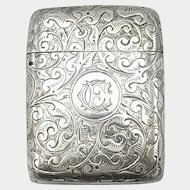 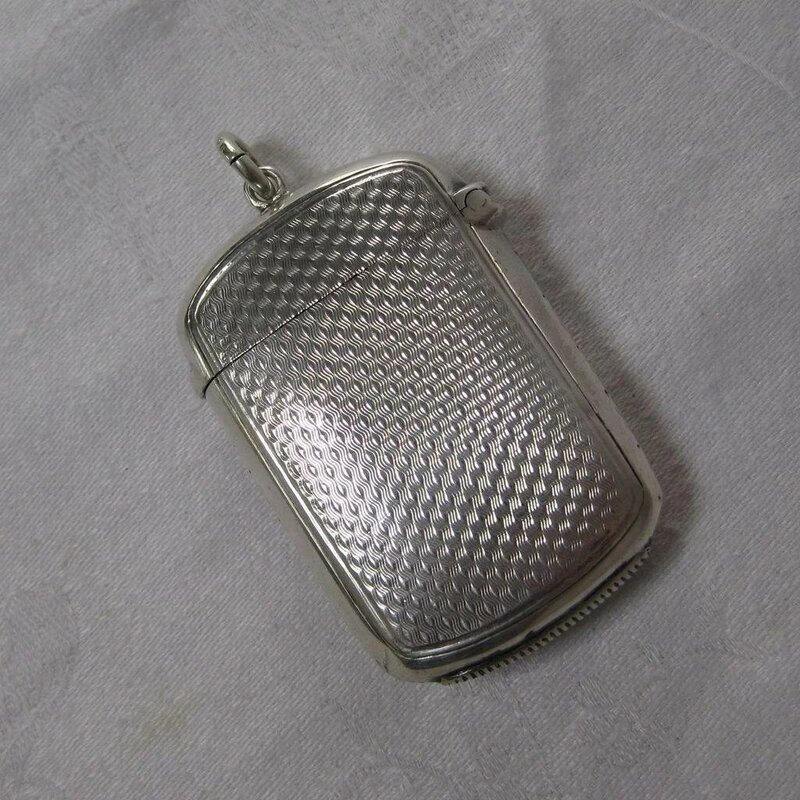 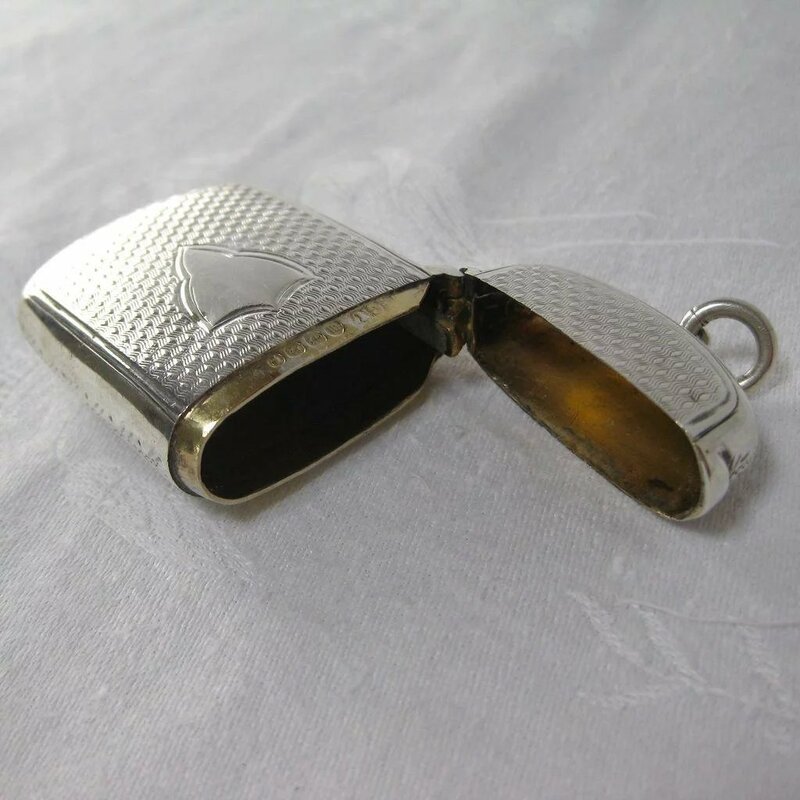 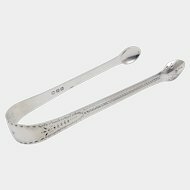 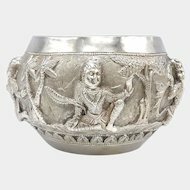 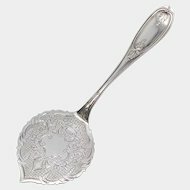 This is a lovely sterling silver match safe, made by George Unite & Sons of Birmingham, England in 1886. 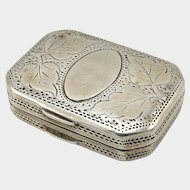 The inside has a nice gold wash and the outside has a gorgeous engine-turned pattern as well as hand-etched details on the sides. 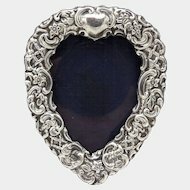 On the front is a blank shield-shaped cartouche. 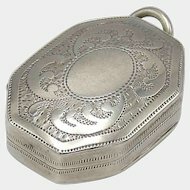 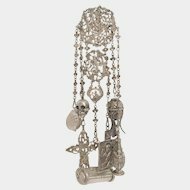 The lid is topped with a bale for hanging on a watch fob or a chatelaine. 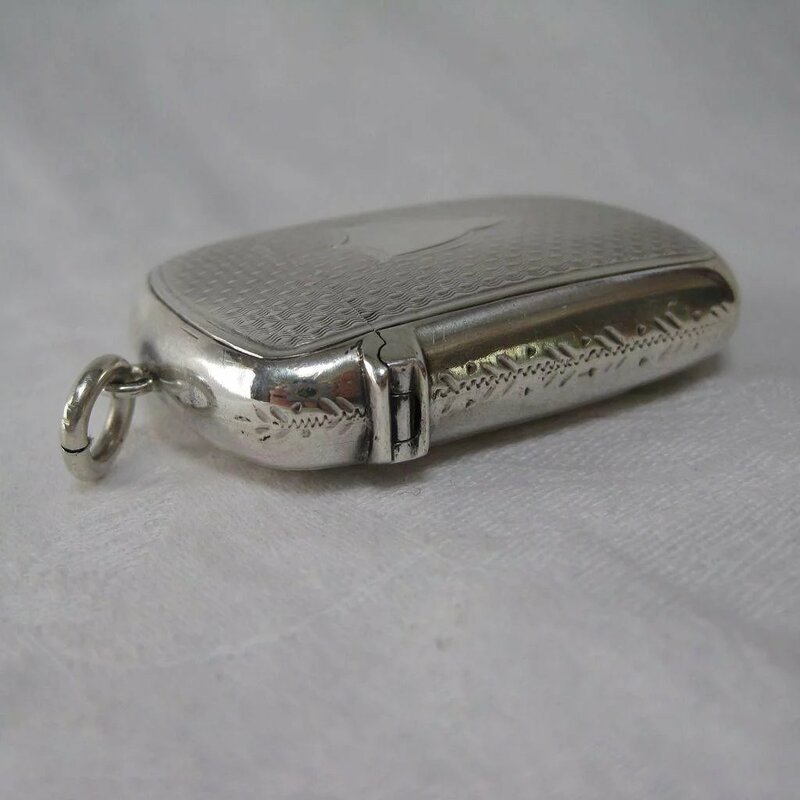 This match safe is in excellent condition and the lid is in perfect working order. 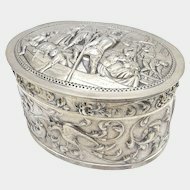 George Unite & Sons were a successful silversmith company, earning a reputation for producing items that reflected the Victorian taste for high decoration and sumptuous design, combined with excellent craftsmanship. 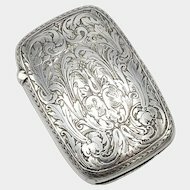 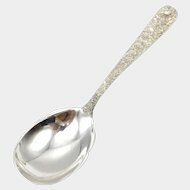 It measures 2" x 1 3/8" and it weighs 24 grams, or 0.77 Troy ounces. 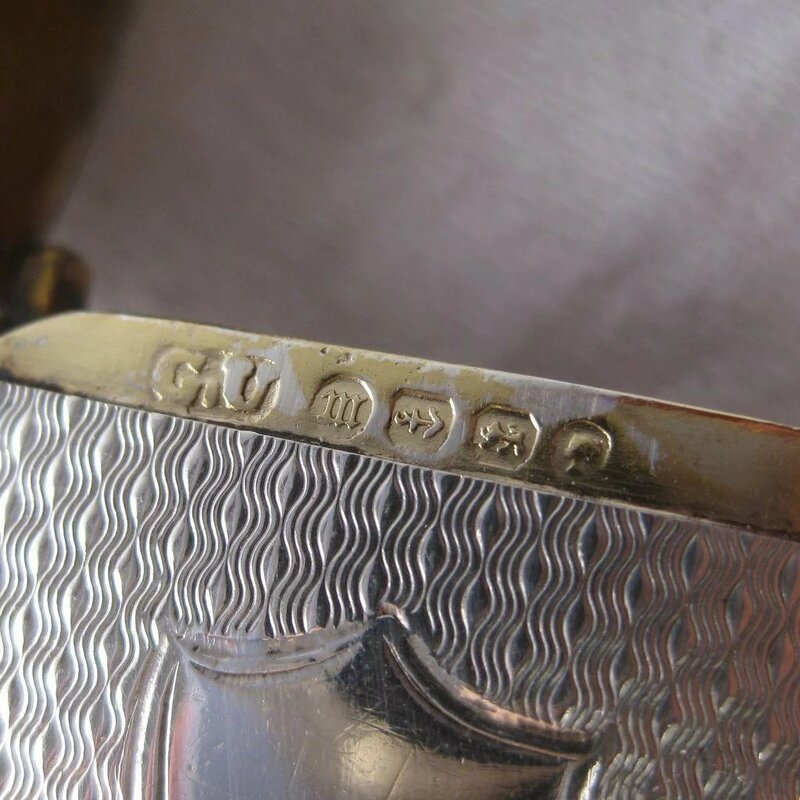 It bears the marks: (lion passant), (anchor), (duty mark), GU, and M.